He also says he wasn’t inspired by Rock’s success in Hollywood because while Rock was crushing it, he had no intention of becoming a movie star. He fell into the movie business by coincidence and then became addicted to it. He says he starved for three years while he was pursuing a career in Hollywood. Steve Austin warned him about taking quick roles for money because once you do that you’ll be pigeon-holed into those roles. Batista waited out those offers and soon the bigger roles came. He admits it was difficult to turn down money when he was borrowing cash and selling his cars to pay his bills. 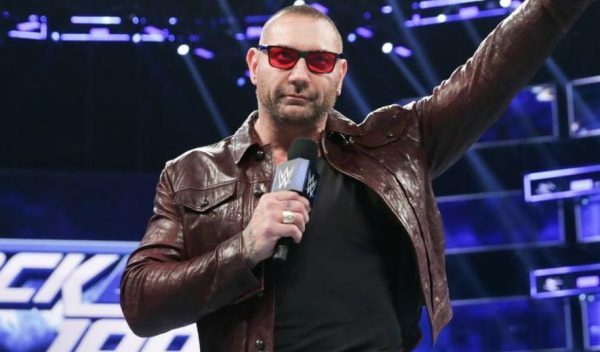 Batista says his ultimate goal is to produce and then direct films. He thinks he’s a story-teller at heart but admits that his skills may be better served producing than directing. He hopes to produce award-winning films in the future. Getting back to his ‘Mania match with Triple H, Batista says he just hopes they both make it out healthy. 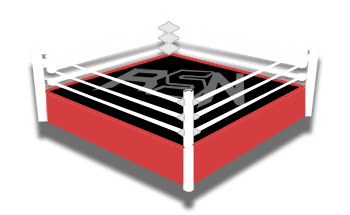 They’re both the type of guys to go out and put everything on the line without holding anything back, and they’re planning a very physical match for two 50-year olds who haven’t been in the ring for a long time.